Museum passes at your libraries! Museum passes are available at both the Valley Cottage and the Nyack Libraries for borrowing by residents of the Nyack School District. Passes available at the Valley Cottage Library are in the box on the left, while passes available for borrowing at the Nyack Library are highlighted on the right. Please note: While cardholders from both libraries have reciprocal borrowing privileges at both the Valley Cottage and Nyack Libraries, loan policies, fines and related details may differ at each location. An esteemed Historic House Museum containing one of the finest collections of decorative arts and furniture from the Federal period. Located in the Hudson Valley, Boscobel offers tours of the Neoclassical mansion and access to 68 acres of grounds, featuring lush gardens and a woodland trail. Pass allows admission for one adult and three guests any age. Brooklyn Botanic Garden is an urban botanic garden that connects people to the world of plants, fostering delight and curiosity while inspiring an appreciation and sense of stewardship of the environment. Pass allows admission for two adults and accompanying children under age 17. Edward Hopper House in Nyack, New York is the birthplace of the renowned American artist Edward Hopper (1882-1967). ​It was built in 1858 by his maternal grandfather, and served as his primary residence until 1910. After Hopper’s death the house fell into disrepair, but was saved from demolition and restored by members of the local community. It is listed on the National Register of Historic Places. Since 1971, the Edward Hopper House has been a not-for-profit art center and museum, preserving the legacy and home of America's most iconic artist. Pass allows admission for two adults and accompanying children. The Frick is known for its distinguished Old Master paintings and outstanding examples of European sculpture and decorative arts. The collection was assembled by the Pittsburgh industrialist Henry Clay Frick (1849–1919) and is housed in his former residence on Fifth Avenue. One of New York City’s few remaining Gilded Age mansions, it provides a tranquil environment for visitors to experience masterpieces by artists such as Bellini, Rembrandt, Vermeer, Gainsborough, Goya, and Whistler. One adult admission per pass. 2 or 4 passes may be checked out at one time. Children under 10 not admitted. 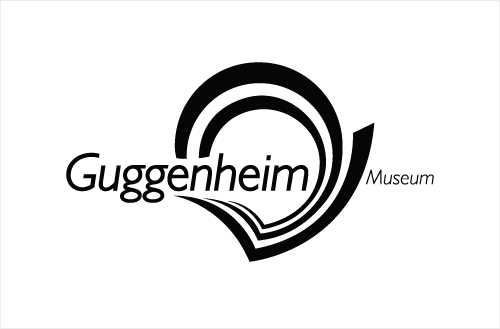 Committed to innovation, the Solomon R. Guggenheim Foundation collects, preserves, and interprets modern and contemporary art, and explores ideas across cultures through dynamic curatorial and educational initiatives and collaborations. With its constellation of architecturally and culturally distinct museums, exhibitions, publications, and digital platforms, the foundation engages both local and global audiences. Pass allows admission for up to four adults. Children under age 12 are free. The Intrepid Sea, Air & Space Museum features the legendary aircraft carrier Intrepid, the space shuttle Enterprise, the world’s fastest jets and a guided missile submarine. Through exhibitions, educational programming and the foremost collection of technologically groundbreaking aircraft and vessels, visitors of all ages and abilities are taken on an interactive journey through history to learn about American innovation and bravery. Pass allows admission for up to six people. The Katonah Museum of Art, through innovative exhibition and education programs, promotes the understanding and enjoyment of the visual arts for diverse audiences. The Museum presents exhibitions that explore ideas about art, culture and society -- past and present. Pass allows admission for two adults and accompanying children. The Museum of the City of New York celebrates and interprets the city, educating the public about its distinctive character, especially its heritage of diversity, opportunity, and perpetual transformation. Founded in 1923 as a private, nonprofit corporation, the Museum connects the past, present, and future of New York City. It serves the people of New York and visitors from around the world through exhibitions, school and public programs, publications, and collections. Pass allows admission for two adults and up to four accompanying children. New-York Historical has a mission to explore the richly layered political, cultural and social history of New York City and State and the nation, and to serve as a national forum for the discussion of issues surrounding the making and meaning of history. Pass allows admission for two adults and children under age 18. At Stepping Stones, play is serious business. We understand that children learn best by doing. Our learning framework is a strong set of foundational ideas that guides the planning of all of the museum’s experiences — exhibits, programs, promotional events and partnerships. Pass is a "buy one get one free" pass. Max three free admissions. The Stamford Museum & Nature Center is dedicated to the preservation and interpretation of art and popular culture, the natural and agricultural sciences, and history. The Museum is a vital cultural and educational resource for the community, and a focal point for family activity and interaction. Pass allows admission for two adults of the same household and children under age 18. Widely celebrated as one of the world’s leading sculpture parks, Storm King Art Center has welcomed visitors from across the globe for fifty years. It is located only one hour north of New York City, in the lower Hudson Valley, where its pristine 500-acre landscape of fields, hills, and woodlands provides the setting for a collection of more than 100 carefully sited sculptures created by some of the most acclaimed artists of our time. Passes allow admission for two adults (one pass for each adult) and accompanying children under age 18 of same household. No holds, but will be held for one hour via telephone.